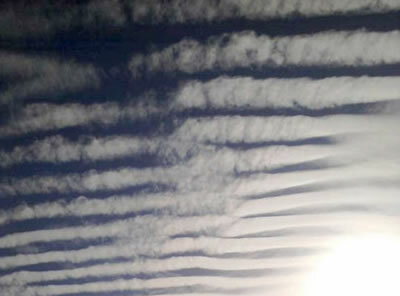 The Truth Denied - Chemtrails/Geo Engineering - What is HAARP creating? Check more news at Breaking News page! 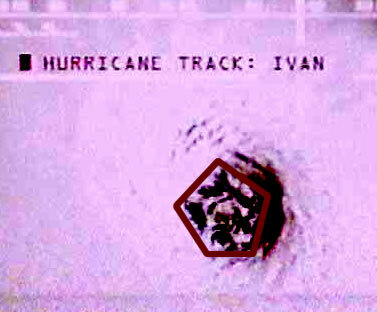 (HAARP) "High Frequency Active Auroral Research Program"
Project HARP, short for High Altitude Research Project, was a joint project of the United States Department of Defense and Canada�s Department of National Defense created with the goal of studying ballistics of re-entry vehicles at low cost; whereas most such projects used expensive and failure-prone rockets, HARP used a non-rocket space launch method based on a very large gun to fire the models to high altitudes and speeds. 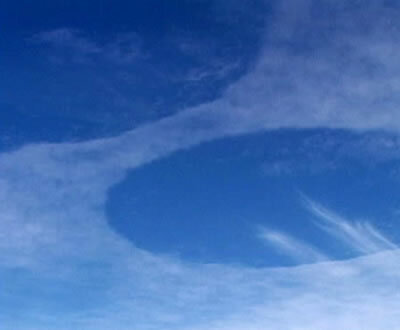 THIS VIDEO INCLUDES photographic evidence of HARP along with photos other weapons such as CERN�s Large Hadron Collider on steroids, the Superconducting Super Collider which is a huge underground ring complex beneath the area near Waxahachie, Texas, that would have been the world�s most energetic particle accelerator. 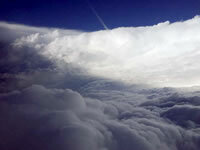 HAARP is capable of creating weather like hurricanes and tornadoes and tsunamis and earthquakes. It is also capable of altering peoples moods. From WETA TV a PBS station. 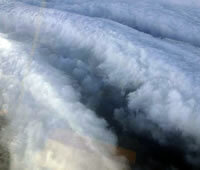 Run a Google.com search for HAARP. 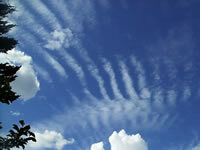 Is HAARP in combination with Chemtrails a way of creating Plasma reactions in our skies? "These pictures were taken the evening on top of the San Bernardino mountains, next to the Big Bear lake (home of the world largest solar telescope the New Solar Telescope...). 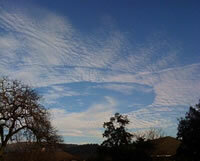 A high altitude perturbation created amazing shape in those clouds. This combined with subtle colors made the show fantastic. 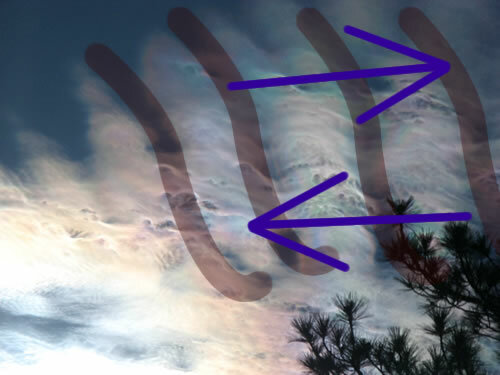 I took those images with a simple camera through my polarizing glasses while comfortably sitting in my jacuzzi..."
Is this atmospheric phenomena caused by a Solar Coronal Mass Ejection or HAARP? In the above photo, a man by the name of Nicolas Gorceix took a series of photos from his house in San Bernadino, Ca on July 21st 2010. The photographs were taken with a simple camera through polized glasses. 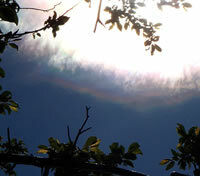 Using the polarized glass allows us to see a lot of highly interesting colors, patterns and shapes. 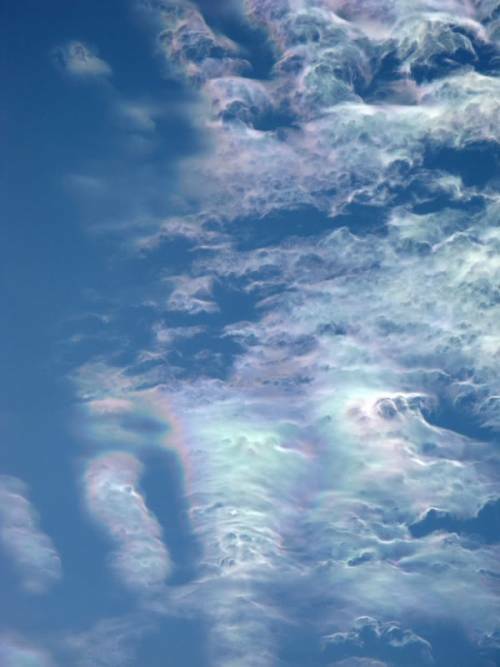 When I first saw these photographs, I thought immediately, that the clouds looked a little bit like a group of noble gases flowing through a glass tube under pressure. Like a neon or argon light bulb does, if you happen to catch it a fizzle out stage of the reaction. In a reaction that you see with halogen, argon or neon for instance, gas moves in a cycle. As the the gas is excited it reacts and rises to the top, when the gas molecules begin to lose thier excited state they begin to fall. In the light bulb reaction, the diode causes the gas not to fall to far and so it stays within a realm of excitement, end result it stays lit. However unseen in that bright neon glow, is a fairly common convection cycle the excited gases move in one direction on top and the lesser excited gas move in the opposing direction. Not all gas reactions are the same however, this is the example I will make for discussion. 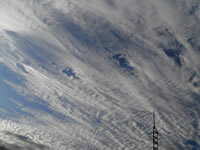 So the Ionosphere is a plasma atmosphere... The clouds in the Gorceix Photograph are most certainly not up in the ionosphere, even the highest clouds do not reach that far. 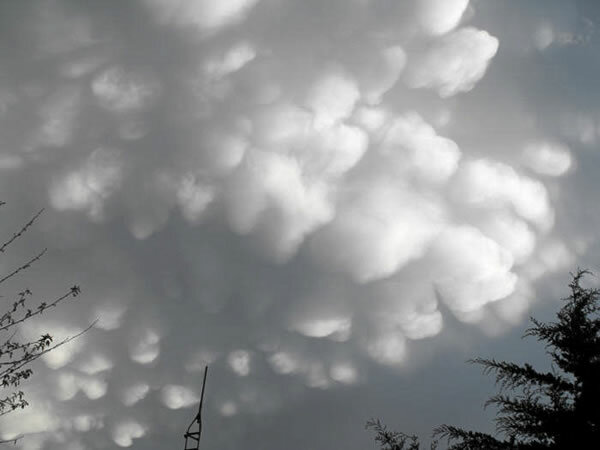 So how is it that the clouds in this photograph, appear to show a plasma reaction? 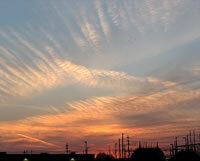 TROUBLE IN THE AIR ARE WE AWASH IN CANCER-CAUSING ELECTROMAGNETIC FIELDS? THE EXPERTS ARE SEARCHING FOR THE ANSWER. 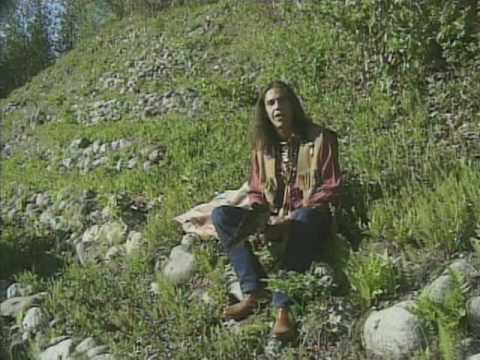 � The Buffalo News Inc.
"Imagine, for a moment, that you're an electromagnetic field. It wouldn't be a bad life. You'd crop up anywhere -- radiating from power lines, glowing out from household appliances. Anywhere an electric current passed through a wire, you'd be there. You could go through walls. The more electricity was involved, the stronger you'd be." 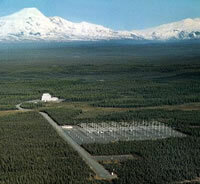 WHAT IS HAARP? HOW IT LOOKS AND SOUNDS! "Spectrum Analysis of a Typical HAARP Pulse"
Its purpose is to investigate the ionosphere and establish whether some of its properties can be used for communication or surveillance purposes. 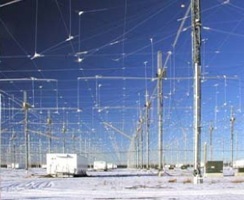 There are questions and concerns from the public through out the USA as well as governments through out the world that HAARP is has been creating what is known as an �integral geophysical weapon� that may have a negative effect/influence on the near Earth medium with high frequency radio waves. In other words, it is possible that HAARP Technology is the latest in weaponry that affects all of humanity via augmentation of weather and earth�s magnetic field that could eventually lead to catastrophic events for the purpose if war, and the elimination of entire towns, cities, and even countries if developed further. Though we can not prove the allegations, we certainly can see the HAARP�s �writing on the wall�. A San Anselmo, California man reports that he is a Targeted Individual and wants a Congressional investigation into Department of Homeland Security (DHS) and related government agencies' covert application of electronic weapons on American citizens, including mind control weaponry. Major-general of the reserve of the Russian Federal Custodial Service Boris Ratnikov tells that Russia and other countries work on making special devices that turn humans into zombies." 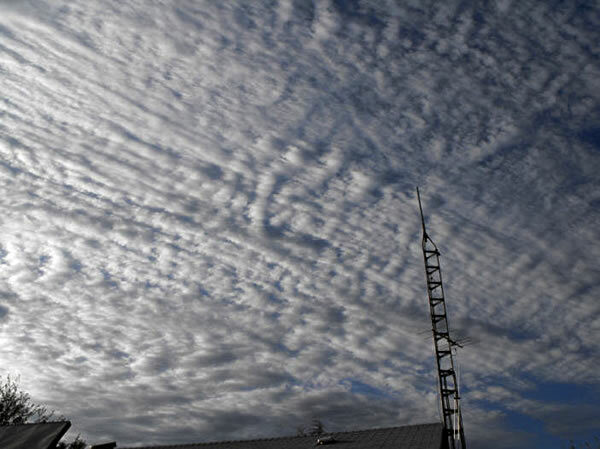 HAARP: Secret Weapon Used For Weather Modification, Electromagnetic Warfare? H.A.A.R.P. - It's not only greenhouse gas emissions: Washington's new world order weapons have the ability to trigger climate change By Michel Chossudovsky - Professor of Economics, University of Ottawa.
" CANADIAN MEMBER OF PARLIAMENT David Orlikow with his wife, Val, who was a victim of psychiatrist Ewen Cameron�s mind-control experiments. From LSD to Manchurian Candidates, sinister intel programs of decades past introduced psychiatric warfare. Today, hidden hands continue to wield these deadly tools." To: The United Nations High Commissioner For Human Rights. (Louise Arbour) H.A.A.R.P. IT IS THE ULTIMATE MASS KILLING MACHINE. 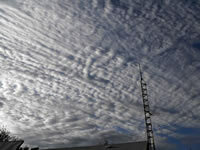 http://www.youtube.com and search for Tesla HAARP Research Project. THIS TYPE OF 'DIRECT ENERGY WEAPON SYSTEM' IS NOW BEING USED IN IRAQ AND IS CAUSING INJURIES BEYOND BELIEF. H.A.A.R.P. & DIRECT ENERGY WEAPONS SHOULD BE STOPPED!!! We have the Human Right to prevent the commission of International Crimes and Global Vandalism. 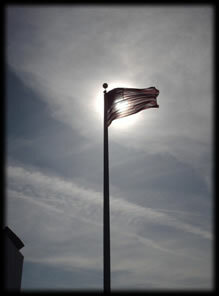 under a Creative Commons Attribution-NonCommercial-ShareAlike 3.0 Unported License. Based on a work at www.thetruthdenied.com. Permissions beyond the scope of this license may be available at The Truth Denied Disclaimer.